Traka, an ASSA ABLOY Group company specializing in access management, is exhibiting the latest generation of its iPad locker technology at BETT 2013 with its Intelligent iPad Locker and Simple iPad Locker products. 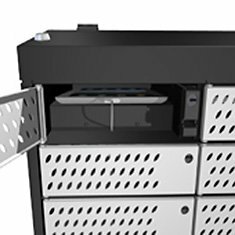 Using Traka RFID tagging technology, the Traka Intelligent iPad Locker automates the process of issuing iPad tablets – whether it be to students or employees – and ensures they are returned and stored securely at the end of each day. Negating the need for manual issuance and management saves teachers and IT staff time, offering an at-a-glance view of current tablet ownership at any time via operating software. Multiple iPad lockers can be networked across the school site or campus, all managed from one central location. 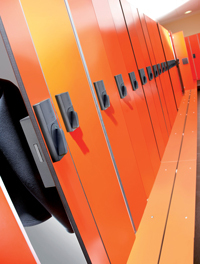 Each locker is static, featuring 30 individual compartments – each offering iPad data synchronization and battery charging capability to ensure iPads are always fit for use. The Traka locker is also able to detect that the device has been returned correctly, and has not been exchanged for a book or other object of similar size. Traka is also launching its Simple iPad Locker – a cut-down implementation of its locker technology. This static, six-door metal locker can house five iPads behind each door, and it retains a dedicated drawer to house a MacBook.